Congratulations Brandon Phillips – CPO’s new Resident Conductor! It’s always a wonder to me that orchestras are able to adapt to an enticing procession of visiting conductors and their idiosyncratic styles of tempo keeping and entrance indication. 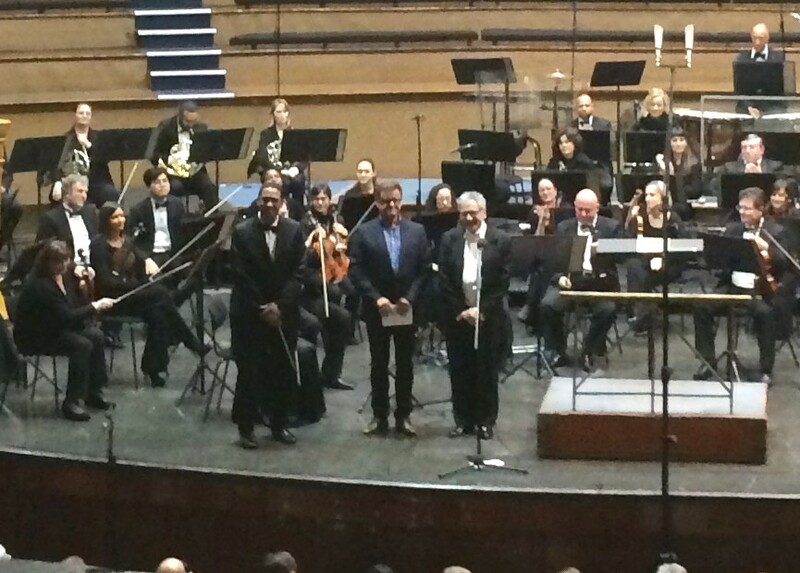 Last night we were fortunate to have world renowned frequent guest of the CPO Victor Yampolsky returning to the helm, with an overture that was both an endorsement of his skill and a testimony to the adaptability of the CPO. Charlier’s character proceeded him – in the hush of anticipation before the soloist entered the stage, instead of hearing a pin drop we heard him practising something, perhaps a phrase from the concerto?! He left us to our musing for a few endless seconds before confidently striding on. Throughout the tutti introduction, his reactions to the various part entries were animated and sometimes quite comical, hinting that we were about to hear something of the whimsical, quirky nature of this often over-dramatised composer. Charlier’s entry and first subject were confirmation of many things – quirkiness not the least, but in addition: excellent projection, flawless intonation, and simply beautiful tone. He is a highly charismatic performer who seems to embody the idea that “presence” or the “X-Factor” comes from the involvement of the whole body in producing of the sound, not just two sets of mechanical fingers. Charlier played with such Paganiniesque intensity (his thrown staccato was immaculate) that at times I thought he would levitate. Meanwhile, Yampolsky kept a stately pace that complimented and offset the violinist’s virtuosity. The second movement was like floating through Heaven on a gondola, eating bite sized caramel clouds, watching Charlier occasionally flying around and showing off doing somersaults. It was “dream andante” at it’s best, an enthralling performance of this concerto. Our journey began with a perfect entry from the horns over oceanic strings, guided by minimal directing from Yampolsky that seemed to acknowledge the skill of the orchestra, providing the tempo merely as framework. Excellent performances by Susan Martens and Gabriele von Dürckheim, Elizabeth Frandsen, and Esewu Nobela. I was equally impressed with the New Apostolic Church Choir’s presentation, clear diction, and rhythmically accurate consonants. Yampolsky returns to conduct the CTPO next week for Maestro Peter Klatzow’s 70th birthday celebration. This entry was posted in Classical Music Review, Concert Review and tagged #AndyWilding, #ClassicalReview, #ConcertReview, Brandon Phillips, cape town philharmonic orchestra, CPO, CTPO, Elizabeth Frandsen, Esewu Nobela, New Apostolic Church Choir, Olivier Charlier, Victor Yampolsky. Bookmark the permalink.